My name is Steve Devaux, I was born and raised in Red Bank, NJ and attended college at West Chester University of Pennsylvania where I earned a B.S. in Business Management. Unlike many of the people in the JDog Junk Removal family I personally did not serve my country in the armed forces but I have many friends and family members who have served our country. I support them and all of our troops for the sacrifices that they make so that we all can have our freedom. My grandfather served in the Korean War and 3 of my cousins served in Vietnam. It is due to their sacrifices that I was able to qualify to be a franchisee and more importantly a JDog Junk Removal family member. I have been in the waste removal industry since 2006 and have been working with Jerry and JDog Junk Removal for quite some time now. I met Jerry in 2010 and have had the opportunity to see his dream develop into what it is today. I remember when Jerry showed up to where I worked to drop off some various junk from his first job, he pulled up driving a Jeep Wrangler with the top off towing a full trailer. From there we became friends and I eventually started helping him with his removals. 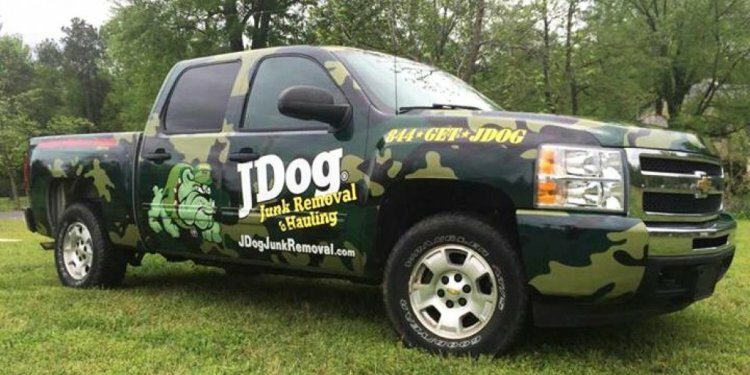 I have been blessed with the opportunity to see JDog Junk Removal grow from a guy in a jeep to the expansion point that we are at today. I was able to see this company start from day one and have seen the company grow and now start to expand with the help of the right group of people and awesome clients who have made everything possible. I am excited to be able to take my first step into being an entrepreneur and look forward to servicing the junk removal needs in Chester County Pennsylvania.